Dear readers, I want to share a memory with you and I’m certain most can relate, either as a parent or as a troublesome kid like I was. Picture Beerman as a little pint, I think I was 8 years old. More than anything in the world, I wanted new video games for my Atari 2600 game counsel. (On a side note, how the heck is Atari 2600 old enough to be considered vintage? Is Beerman vintage as well?) I gave my parents puppy eyes, I begged – I actually cut up an onion, placed it in a bag, and inhaled to invoke tears. I pulled out all the stops. They all failed miserably. Finally, I came up with a plan to help out around the house and to give some old toys away to Goodwill. This strategy worked in achieving the financial means necessary to achieve my goal. Life lesson learned. Little Red Barn Brewers had a dream but needed financial help to turn it into a reality. I discovered fake tears worked as well with banks as it did with my parents. We needed a plan. We spent a year and half “researching” and writing our business plan. But that was only the first step… we needed to find an institution that had the same value of helping the community as we did. We found that partner in Torrington Savings Bank. Torrington Savings Bank is your hometown community bank since 1868. In 2017, it donated over $260,000 to local charities and scholarships. It is truly a bank that cares about improving the community that surrounds them. This is what it means to be a good community partner, this mirrors the mission statement of the LRB. 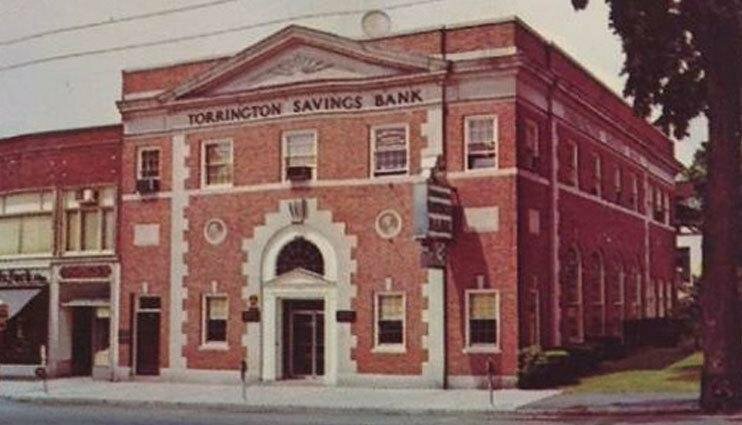 Unlike national banks who have to answer to stock holders, Torrington Savings Bank has to answer to the stake holders who selected them to be their hometown bank. To quote a line from their website, “Our mutual status allows us to share our profits with our customers in the form of very attractive rates for both savings accounts and loans”. TSB has been serving the community since 1868. The bank was formed by local business owners with the goal of making investment opportunities accessible to an economically varied population. Over the last 150 years, they have never forgotten their original mission statement. Their commercial division was created within the last three years to further assist the growth of the community, and the Little Red Barn Brewers is a happy recipient of their experience and funding. They’re not just a bank, they are the backers of dreams. I would like to personally thank Michael Sweeney and the entire team at Torrington Savings Bank for believing in the Little Red Barn Brewers. TSB shares our core values. We did not just find a bank to fund our project, we have found a partner within our community. And perhaps the most impressive feature of TSB is their website and smart phone app which are both extremely easy to use. A person could do their banking while sipping a pint at Little Red Barn Brewers. Dear readers, if you’re looking for a bank where you’re not just an account number, Torrington Savings Bank is the bank for you. Please support a bank that supports the community and the Little Red Barn Brewers. Final Thought: Please support the LRB by making a contribution in our Kickstarter campaign going on right now. Go to our Kickstarter campaign page to learn more about how to contribute and the rewards offered for doing so: CLICK HERE! Stay tuned, dear readers, for future spotlights.